MULVANY, CHARLES PELHAM, Church of England clergyman, teacher, and author; b. 20 May 1835 in Dublin (Republic of Ireland), son of Henry William Mulvany, a barrister-at-law; Elizabeth Mulvany who died in childbirth in July 1880 at Toronto, Ont., was probably his wife; d. 31 May 1885 at Toronto. Charles Pelham Mulvany entered Trinity College, Dublin, in 1850 and was elected a scholar of the house in 1854 before receiving a ba with 1st class honours in classics in June 1856. In his college years Mulvany wrote verse for the Nation, and in 1856 edited Trinity’s College Magazine; he later contributed to the Irish Metropolitan Magazine (1857–58). Following graduation he joined the Royal Navy in which he apparently served as a surgical assistant. In later years Mulvany claimed to have been a naval surgeon with an md degree, but this is improbable; certainly he never practised medicine in civilian life. After a brief stint in the navy Mulvany immigrated to Canada about 1859. In 1866 he comes into view in Toronto when he joined the 2nd Battalion, Queen’s Own Rifles, during the Fenian scare. However, before any Fenian raid took place Mulvany moved to Lennoxville, Canada East, where he enlisted in the militia in Sherbrooke, rising to the rank of lieutenant, and joined the faculty of Bishop’s College as a lecturer in classics. On his arrival the college conferred an honorary ma degree on him in consideration of previous work on the classical forms of English verse and on medieval hymnology. In 1867 he helped establish a literary periodical entitled the Students’ Monthly. He left Bishop’s the same year to serve as principal of the Niagara High School in Ontario, but he retired from teaching altogether in 1868 to take up an entirely new career in the Church of England. Ordained deacon by John Travers Lewis*, bishop of the diocese of Ontario, in 1868 and priest in 1872, he was licensed curate to All Saints Church, Kingston, in 1868, and later to various parishes in Lanark, Prince Edward, and Northumberland counties. Having grown weary of rural parish life, Mulvany retired from active clerical work in 1878 and moved to Toronto to take up a career as a writer. 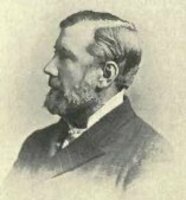 C. P. Mulvany was the author of “A brief history of Canada and the Canadian people,” published in History of Toronto and county of York, Ontario . . . (2v., Toronto, 1885), I, and also in History of the county of Peterborough, Ontario . . . (Toronto, 1884), 1–209. His article, “County and town of Peterborough, Ontario,” also appears in History of the county of Peterborough . . . , 215–372. 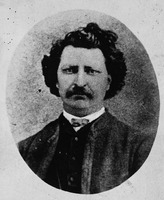 Mulvany contributed to The history of the county of Brant, Ontario . . . (Toronto, 1883) and his other historical writings include The history of the North-West rebellion of 1885 . . . (Toronto, 1885; repr. 1971) and Toronto: past and present; a handbook of the city (Toronto, 1884; repr. 1970). His poetry is found in A. H. Chandler and C. P. Mulvany, Lyrics, songs and sonnets (Toronto, 1880), and in A wreath of Canadian song; containing biographical sketches and numerous selections from deceased Canadian poets, ed. Mrs C. M. Whyte-Edgar (Toronto, 1910), 143–46. He was also translator and editor of Cæsar’s “Bellum Britannicum” . . . (Toronto, 1881). Bishop’s Univ. Arch. (Lennoxville, Que. ), College Council, Record of meetings, 1861–76; Convocation register, 1854–85; Register, 1873–90. Church of England, Diocese of Ontario, Synod, Journal (Kingston, Ont. ), 1868–85. Globe, 1 June 1885. DNB. Dominion annual register, 1885: 273. D. J. O’Donoghue, The poets of Ireland: a biographical and bibliographical dictionary of Irish writers of English verse (Dublin and London, 1912; repr. Detroit, 1968). Gerald Killan, “MULVANY, CHARLES PELHAM,” in Dictionary of Canadian Biography, vol. 11, University of Toronto/Université Laval, 2003–, accessed April 26, 2019, http://www.biographi.ca/en/bio/mulvany_charles_pelham_11E.html.